Have no ideas what to feed a one year old baby or how much to feed? You will not only get the questions solved, but also learn some great tips to help you feed your little one. Want to start to feed your baby fruits? Read on, and you will learn how to make numerous fruit purees for your 6 months old baby. 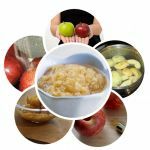 Do you know how to make applesauce for baby? 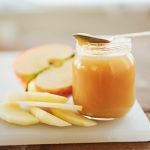 Apple is a perfect food to be introduced as the first food for baby like applesauce, since it is versatile, tasty, nutritious and easy to cook. 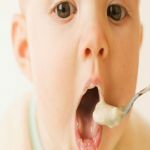 It is very handy to know how many ounces the baby should eat by age because it assists in developing a well-structured diet plan. Read on, and learn the guidelines and tips of feeding your baby.